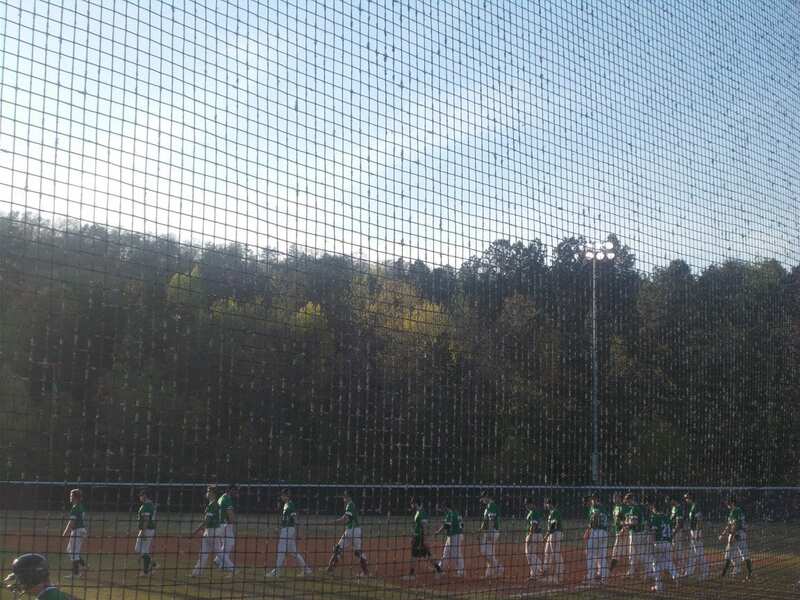 This past Friday afternoon, the PHS Dragons varsity baseball team, made their way down to Cartersville to take on the Purple Hurricanes in the first round of the 4-A State Baseball Tournament. Pickens came in as the #4 seed from region 6, while Cartersville came in as the #1 seed out of region 5. These games, were originally scheduled for Thursday, but weather pushed it back. Cartersville even had a helicopter out to help dry the field prior to first pitch of game 1. The Dragons, were the away team in game 1, & looked to get things going against the top team from region 5. Pickens, would be unable to get on base in the top half of the 1st, sending us to the bottom of the inning. Dragons starting pitcher, Caswell Smith, found himself in an early jam, but was able to hold Cartersville to 1 run & strikeout 2 in the process. We’d head to the 2nd, Purple Hurricanes up, 1-0. In the top of the 2nd, the Dragons saw a total of 8 pitches, & flew out in order, sending us to the bottom of the frame. Smith, came back with an 11 pitch inning, & picked up his 3rd K of the game, sending us to the 3rd, Cartersville leading Pickens, 1-0. With 2-outs in the top of the 3rd, Dylan Huffman sent a a fly ball to shallow left field, the left fielder could not come up with the catch, & Huffman made it to 2nd on the play. Joseph Gossett, then drew a walk to put runners on 1st & 2nd. Jace Franklin then battled & kept fouling off pitches. With a 2-2 count, Franklin laced a double in right center, scoring Huffman & tying the game up a 1. Cartersville, looking to retake the lead in the bottom of the inning, had 2 runners on with nobody out. Smith, with help from the defense behind him, was able to get out of that jam, keeping it a 1-1 game, going to the 4th. In the top of the 4th, the Purple Hurricanes brought in a new pitcher, & he was able to get the Dragons in order. In the bottom of the 4th, Cartersville, was able to reclaim the lead, 2-1, going to the 5th. Gossett, would get a 2-out single in the top of the 5th, but that would be all for the Dragons in the top half of the frame. The Purple Hurricanes, would plate 2 more runs in the bottom of the 5th, making it 4-1, going to the 6th. With 2-outs in the top of the 6th, Pickens got back to back singles from Chad Pacas & Colby James. Tyler Vreeland, made it three straight hits, but Evan Jones (running for Pacas), would be called out at the plate, trying to score from 2nd, keeping the score 4-1. In the bottom of the 6th, Cartersville, got a solo home run, to make it 5-1, going to the 7th. The Purple Hurricanes, would take game 1, 5-1. The two teams switched roles for game two as Pickens was now the home team, & Cartersville was the away team. The Purple Hurricanes, jumped out to an early lead in the top of the first as they would plate 3 runs, to take an early 3-0 lead. The Dragons, went quietly in the bottom of the 1st, sending us to the 2nd, Cartersville leading, 3-0. In the top of the 2nd, the Purple Hurricanes added 2 more runs, to stretch the lead out to 5-0. In the bottom of the frame, Pickens, again would be unable to get anything going, & we’d head to the 3rd, Dragons trailing Cartersville, 5-0. In the top of the 3rd, Cartersville, plated 1 run, to make it 6-0. In the bottom of the inning, Tyler Vreeland, would lead off the inning with the Dragons 1st hit of the game. The Purple Hurricanes, got out of the inning without any damage done, as we’d go to the 4th. In the top of the 4th, Cartersville, would score 6 times to make it 12-0. The Purple Hurricanes would go on to take game 2, 12-0 in 5 innings. Winning the series 2-0. 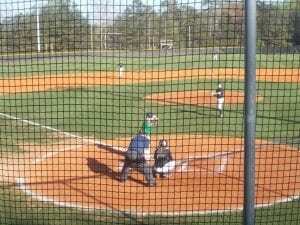 Yesterday afternoon, the PHS varsity baseball team once again hosted the Southeast Whitfield Raiders at Dragons Field for the 3rd and final game of their series, & the final game of the region schedule. 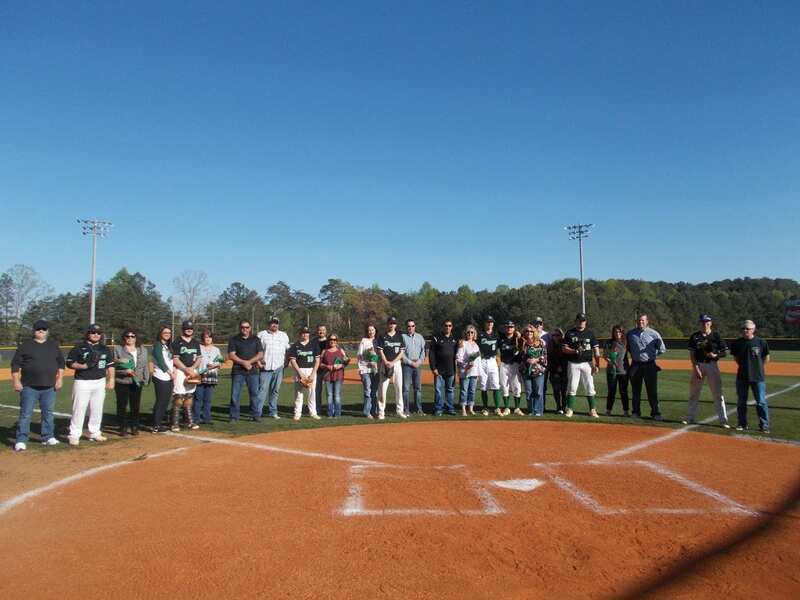 Prior to the game, the seniors on the 2018 PHS baseball team were honored for their contributions to PHS during their time. In the top of the 1st, senior starter Isaiah Payne, had it working early. Payne needed just 10 pitches to get out of the top half of the 1st. Pickens, got a lead off single from senior Joseph Gossett, but Gossett would be left stranded at 3rd, & we would head to the 2nd, tied at 0. In the top of the 2nd, Payne continued his good early work by striking out two Raiders in the frame. 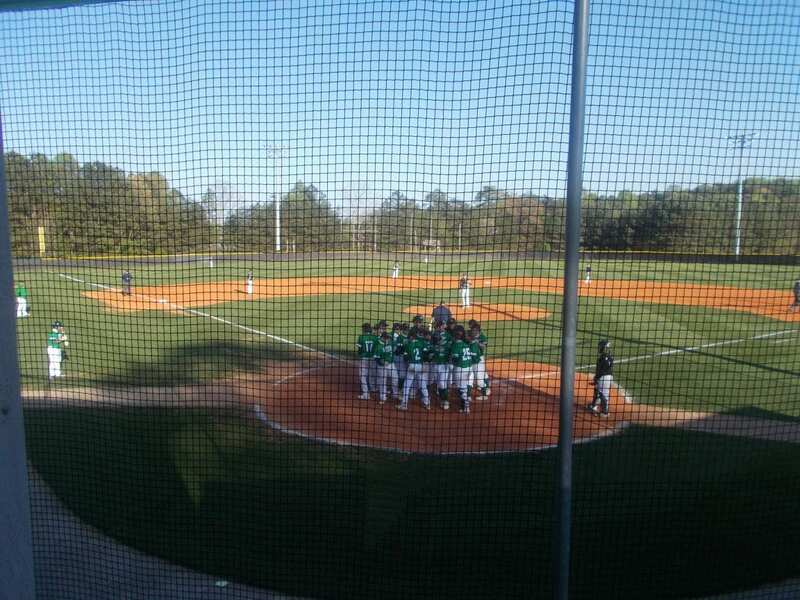 In the bottom of the inning, A 1-out single from Colby James, a walk drawn by senior Lucas Headrick, and a single from Payne, would lead to a 2-out, 2-RBI base hit from Gossett as the Dragons took a 2-0 lead over Southeast Whitfield, heading to the 3rd. Payne, now working with the lead, continued giving the Raiders trouble as he got out of the inning, using 16 pitches. In the bottom of the 3rd, a lead off walk drawn by senior Dylan Huffman, came back to bite Southeast Whitfield as Brady Moore drove Huffman in with a 1-out double. Moore would go on to steal 3rd, then come into score after a pitch got by the catcher. Pickens took a 4-0 lead, into the 4th. In the top of the 4th, the Raiders got their first hit of the game, but that would be all. In the bottom of the frame, Gossett, got a 2-out double, but would be caught trying to steal 3rd to end the inning. Going to the 5th, the Dragons held a 4-0 lead over Southeast Whitfield. In the top of the 5th, Payne would throw one more pitch, then would be replaced with fellow senior, Clate McArthur. McArthur, would collect his 1st K of the day, & get out of the half inning on 11 pitches. In the bottom of the 5th, Huffman, got a 1-out base hit, Moore would be hit by a pitch, then James would get a 2-out RBI hit scoring Huffman to give the Dragons a 5-0 lead, going to the 6th. In the top of the 6th, Southeast Whitfield would plate 2 runs, cutting the Pickens lead to 5-2. The Dragons, got one of those runs back in the bottom of the inning after Gossett hit a 1-out triple, & then came into score after Huffman drove him in after beating out a potential inning ending double play. The Dragons, held a 6-2 lead going to the 7th. McArthur was able to hold down the Raiders in the 7th, to preserve the Dragons win, 6-2. 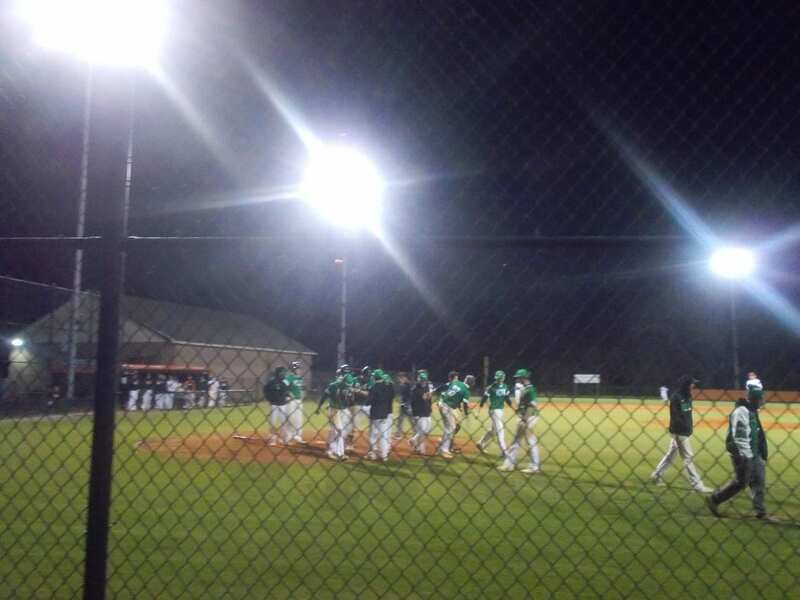 Pickens, wins the series between Southeast Whitfield 2-1, & finishes the region schedule at 9-9. They are 14-14 overall with one more game to play in the regular season. There will be a makeup game today at PCMS as the Dragons will welcome the Wheeler Wildcats to Dragons Field for afternoon baseball. First pitch is scheduled for 2 pm. 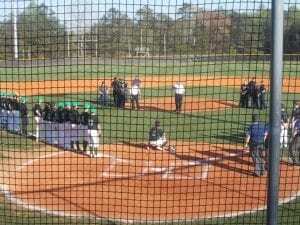 Late yesterday afternoon, the PHS Dragons varsity baseball team welcomed the Southeast Whitfield Raiders to Dragons Field, for game 2 of their 3-game set. 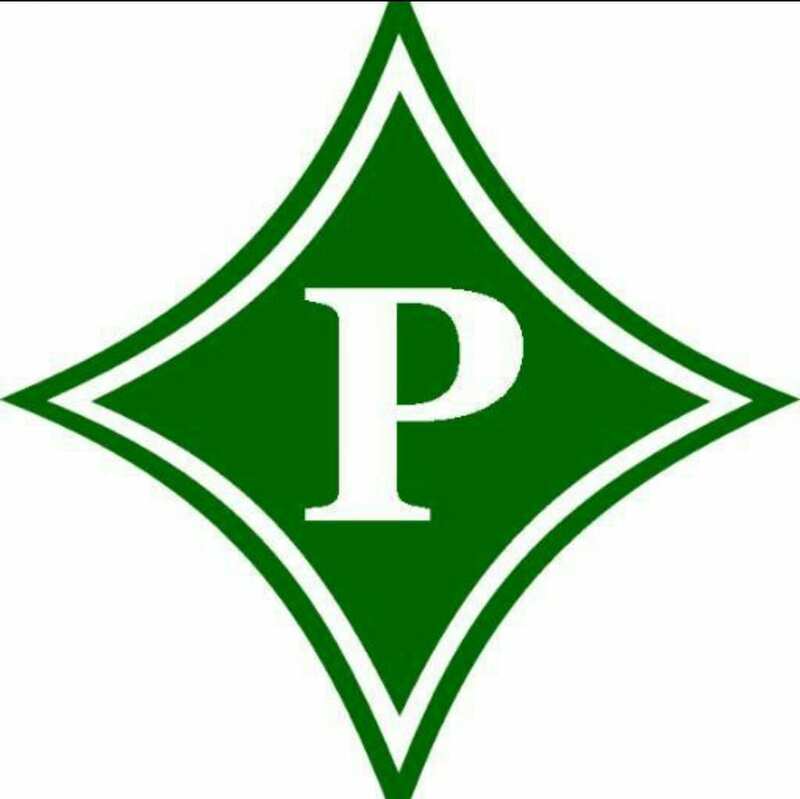 Pickens, took game 1 at Southeast 8-2, to clinch a playoff spot in the upcoming 4-A State Baseball Tournament on Tuesday, & looked to take the series outright with a win at home. In the top of the 1st, the Raiders, jumped out in front with 2 runs on 2 hits. In the bottom of the inning, the Dragons got a 1-out single from Jace Franklin, but Franklin would be caught attempting to steal 3rd, after stealing 2nd, ending the scoring threat for Pickens in the 1st. Dragons starter Dylan Huffman, struck out 2 Raiders in the top of the 2nd, keeping the score at 2-0, going to the bottom of the frame. Brady Moore, liked the first pitch he saw and sent it over the left field wall to cut the Southeast Whitfield lead in half, 2-1, going to the 3rd. In the top of the 3rd, Huffman would record his 4th K of the day, but the Raiders plated a run to extend their lead back to two, 3-1 as we’d head to the bottom half of the inning. Pickens, got a 2-out walk from Franklin, Caswell Smith & Chad Pacas both reached on errors, but Southeast Whitfield was able to get out of the big time jam, to send us to the 4th, Raiders up, 3-1. The Raiders, again plated a single run in the top of the 4th, to lead the Dragons 4-1. Pickens, went quietly in the bottom of the frame, to send us to the 5th. New Dragons pitcher Colby James, worked around a walk to strikeout the side in the top of the 5th. In the bottom half of the 5th, Pickens got back to back singles from Isaiah Payne & Joseph Gossett. Franklin, drove in Payne, to cut the Southeast Whitfield lead to 4-2, going to the 6th. In the top of the 6th, the Raiders got back to back to back triples, scoring twice in the process, to extend their lead to 6-2. Moore would lead off the bottom of the 6th with a double, & would come into score after a 1-out double from James. We went to the 7th, Raiders leading, 6-3. 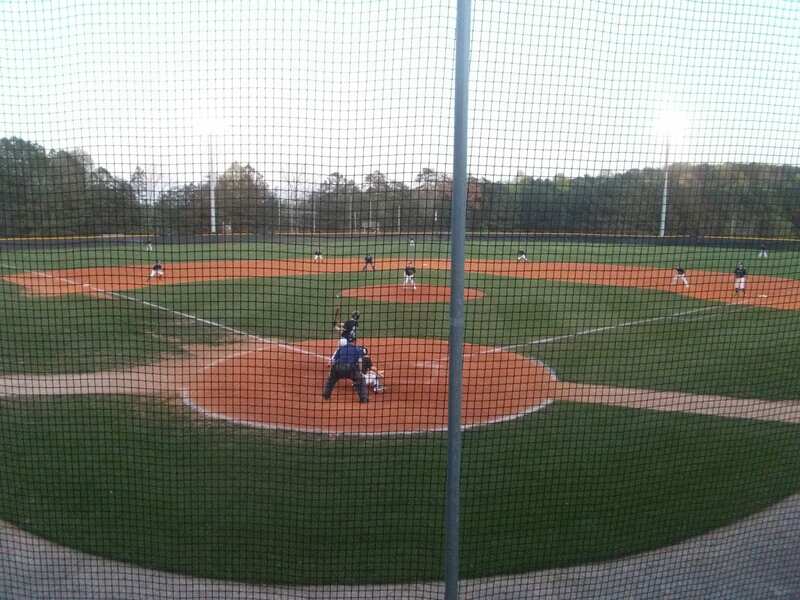 Southeast Whitfield, got out of the bottom of the 7th, & got the win, 6-3. Later today, the Dragons will again host the Southeast Whitfield Raiders, for the 3rd game of the series, & the final game of the regular season. Tonight, is also Senior Night. There will be a pregame ceremony recognizing the seniors for their contributions to PHS & the baseball program. First pitch is scheduled for 5:55. 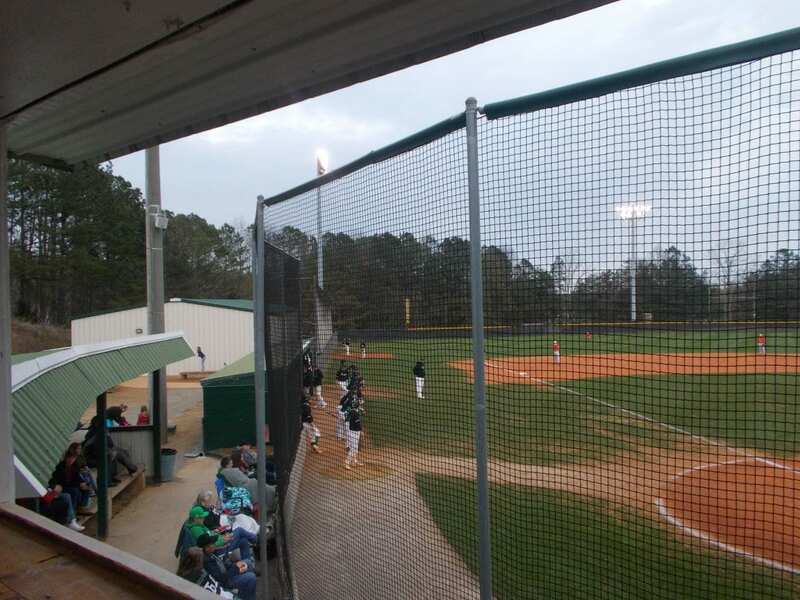 On Friday afternoon, the PHS varsity baseball team, made the long trip up to Rossville, Ga, to take on the Ridgeland Panthers in the 3rd and final game of the series. After falling in the previous two games, Pickens was looking to build some momentum heading into the final series of the regular season. In the top of the 1st, the Dragons got a lead off single from Joseph Gossett, but a double play turned by the Panthers after the pitcher caught a comebacker right at him & flipped over to 1st, & a grounder to the shortstop, ended any potential threat in the top half of the 1st. In the bottom of the 1st, Ridgeland got out to an early 3-0 lead, sending us to the 2nd. In the top of the 2nd, Chad Pacas got hit by the first pitch of the inning, Brady Moore drew a walk, Tyler Vreeland then moved the runners to 2nd & 3rd with a sacrifice bunt, Will Lawrence would get hit with a pitch with 2-outs to load the bases, but the Panthers were able to get out of the mess, sending us to the bottom of the 2nd. Ridgeland, then plated two runs in the bottom of the frame, to extend their lead to 5-0 over Pickens, going to the 3rd. The Panthers, added another run in the bottom of the 3rd, giving them a 6-0 lead over the Dragons, going to the 4th. Pickens, got a 2-out single from Colby James in the top of the 4th, but were unable to bring him around to score. In the bottom half of the frame, Ridgeland plated 5 runs, to increase their lead to 11-0, going to the 5th. The Panthers, got the win, 11-0, in 5 innings. Pickens, is now in 4th place in 6-AAAA. They will begin their final series of the regular season tomorrow afternoon at home as they host the Southeast Whitfield Raiders. First pitch is scheduled for 5:55. 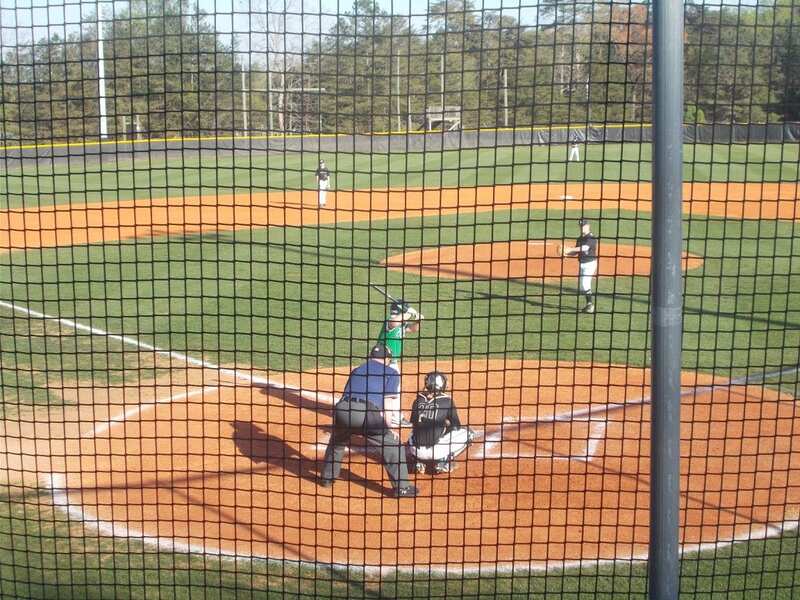 Yesterday afternoon, the PHS Dragons varsity baseball team, hosted the Ridgeland Panthers, in game 2, of a critical 3-game set. On Tuesday, Ridgeland scored 9 runs in the bottom of the 6th, to take game 1, 11-2. Pickens, came in looking to even up the series. 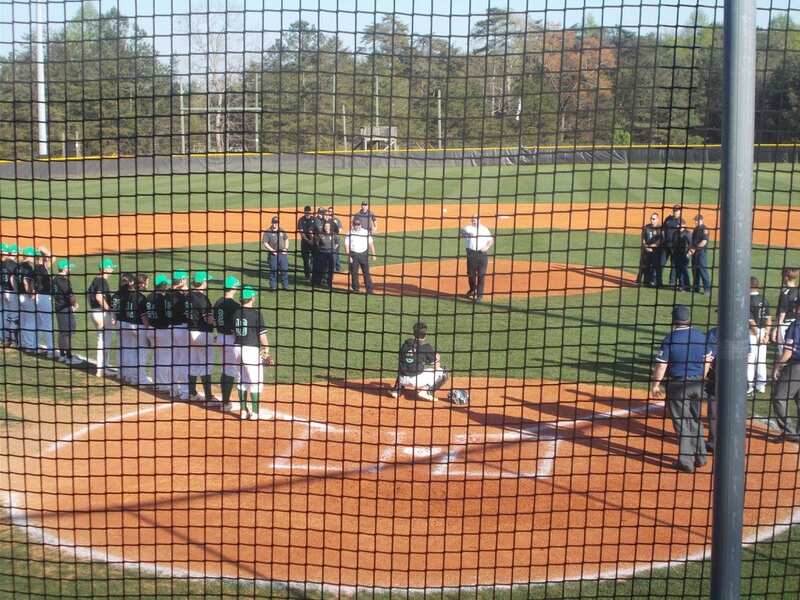 Prior to the game, PHS Baseball recognized the 1st responders around the county for all that they do. We also, saw Jake King hit a towering home run. In the top of the 1st, Ridgeland got on the board with 3 runs to take an early lead. In the bottom of the frame, Pickens had runners at 1st & 2nd after Jace Franklin reached on an error, & Caswell Smith hit a 2-out single. The Panthers, were able to get out of it, as we’d head to the 2nd Ridgeland leading, 3-0. In the top half of the 2nd, the Panthers added to their lead after a 2-run home run, to take a 5-0 lead over the Dragons. Pickens, went in order in the bottom of the 2nd. Ridgeland took a 5-0 lead into the 3rd. Dragons starter, Dylan Huffman, needed 7 pitches in the top of the 3rd, to bring Pickens up to bat, looking to cut into the Panther lead. Cut into the lead is what they would do as Joseph Gossett would get a 2-out single, & would come all the way around to score on an RBI double by Franklin. Franklin, would then come in to score after Smith reached on an error, to make it 5-2 Ridgeland, heading to the 4th. In the top of the 4th, the Panthers swung momentum right back to their side as they would plate 5 runs, to stretch their lead out to 10-2. In the bottom of the frame, Will Lawrence beat out an infield hit, Huffman drew a walk, Gossett then drew a walk to load the bases with 2 out. Franklin would then walk to score Lawrence. Smith would follow, getting in on the walk-a-thon as Huffman would come in to score. Two runs would be all the Dragons would be able to get as they left the bases loaded, now trailing, 10-4. In the top of the 5th, the Panthers again pulled away from Pickens as they would score 4 runs in the top half of the inning to take a 14-4 lead. Ridgeland was able to get the win in 5 innings, 14-4. The Dragons, will look to grab game 3 this afternoon as they will head to Rossville to take on the Panthers in the series finale. First pitch is at 5:55. Yesterday afternoon, the PHS Dragons varsity baseball team, headed up to Ringgold, to take on the region leading Heritage Generals, in a big first game of a 3-game set. Coming into the game, Pickens, were coming off of a series sweep of Lafayette, & held down the 2nd spot in 6-AAAA at 7-2. Colby James, got the start for the Dragons, and got off to a good start. James, would collect his first K of the game, & left a runner stranded in the bottom of the 1st, sending us to the 2nd. In the bottom of the 2nd, Heritage got on the board after two runs would come across to score, one via a solo home run. We headed to the 3rd, Pickens down 2-0. Early on offensively for the Dragons just seemed to be a case of being unlucky. Pickens, were getting contact on the ball, but they just would not fall. The Generals, extended their lead in the bottom of the 3rd, plating 3 runs to lead the Dragons 5-0, going to the 4th. Pickens, finally got on the base path in the top of the 4th as Brady Moore would reach on an error by the 2nd baseman, & Dylan Huffman would collect the Dragons first hit of the game with a single. James, got out of the bottom of the 4th on 13 pitches, & sent us to the 5th, Pickens still trailing, 5-0. The Dragons, had their first scoring threat of the game in the top of the 5th, with runners at 1st & 2nd with just one out. However, Heritage was able to get out of it, & send us to the bottom of the 5th. James, again needed 13 pitches to get out of the bottom of the 5th, & also got his 2nd K of the game. Joseph Gossett, gave the Dragons their first extra base hit of the game in the top of the 6th with a 1-out double. The Generals, would again get out of the jam as we’d head to the bottom of the 6th. Heritage, added two more runs in the bottom of the frame with a 2-run home run, to stretch their lead out to 7-2, going to the 7th. Jace Franklin, began the Dragons’ 7th with a single, Caswell Smith followed that up with a double, Will Lawrence then drew a walk, then Hunter Hermann delivered a 2-out, 2-run double to get the Dragons on the board. The late rally would not be enough, as Heritage took game 1, 7-2. Due to impending weather on Friday, Game 3 of the series was moved up to today. It now becomes game 2, & game 2 now becomes game 3, & will be a PCMS on Thursday. Game 2 today, is scheduled for 5:30. This past Friday, the PHS Dragons varsity baseball team, traveled up to LaFayette, to take on the Ramblers in a doubleheader. Pickens, took game 1 last Tuesday in Jasper 2-1, & looked to gain as much momentum as they could, heading into a big series with Heritage next week. In the first game of the doubleheader, Pickens looked to get things going early, loading the bases with no one out. However, a diving catch by the Ramblers 2nd baseman, a throw to the shortstop covering 2nd, & a throw to 1st, negated any scoring chance for the Dragons as LaFayette turned a 4-6-3 triple play. Dragons starter Dylan Huffman, needed 10 pitches to send us to the top of the 2nd, still scoreless. Colby James & Tyler Vreeland collected RBI hits in the 2nd to give the Dragons a 2-0 lead, heading to the bottom of the frame. Huffman, got his 1st K in the bottom of the 2nd, as we headed to the 3rd, Pickens ahead, 2-0. In the top of the 3rd, Joseph Gossett, launched his 4th home run of the season, to extend the Dragons lead over the Ramblers to 3-0, going to the bottom of the 3rd. Huffman, breezed through the bottom of the 3rd on only 9 pitches, to send us to the 4th. Pickens, got hits from Chad Pacas & Hunter Hermann in the top of the 4th, but that would be all, and we would go to the bottom of the 4th. Huffman, continued to keep his pitch count down by needing 11 pitches to send us to the 5th, Dragons leading 3-0. The Dragons, got RBI hits from both Brady Moore, & Jace Franklin, to extend their lead over LaFayette to 5-0, going to the bottom of the frame. In his longest inning of the game, Huffman threw 16 pitches, but got out of the half inning, with no damage done. Pickens had a scoring chance in the top of the 6th, but left two runners on. A 6 pitch bottom of the 6th from Huffman, sent us to the 7th, Dragons up, 5-0. Vreeland, brought in Pacas in the top of the 7th, to make it 6-0 Dragons. LaFayette, scored 3 in the bottom of the 7th, but that would be all as they Dragons took the first game, 6-3. Pickens, got a 1-out hit from Joseph Gossett in the top of the 1st, but left him stranded at 3rd. LaFayette, jumped out to the early lead in the bottom of the inning, plating one run. That lead for the Ramblers would not last long as the Dragons got an RBI from Colby James & Tyler Vreeland in the top of the 2nd, to take a 2-1 lead. Dragons starter Caswell Smith, helped himself out in the top of the 3rd, driving in Gossett, to give Pickens a 3-1 lead. In the top of the 4th, Pickens widened it’s lead on LaFayette, scoring 3 runs on 1 hit, to take a 6-1 lead. The Dragons, kept it rolling in the top of the 5th, as they again scored 3 runs on 1 hit, to extend their lead to 9-1. In the top of the 6th, Pickens got back to back home runs from Jace Franklin & Smith, to make it 11-1. James, came on in relief of Smith in the bottom of the 6th, and needed 9 pitches in his lone inning of work. With a 10-run lead after 5, the game was called and the Dragons took game 2 of the doubleheader, 11-1, to get the series sweep. Pickens, will look to keep their bats hot as they head to Ringgold on Tuesday to begin a big 3-game series with the Heritage Generals. Heritage, is leading 6-AAAA at 9-0, with the Dragons right behind them at 7-2. First pitch on Tuesday scheduled for 5:30. 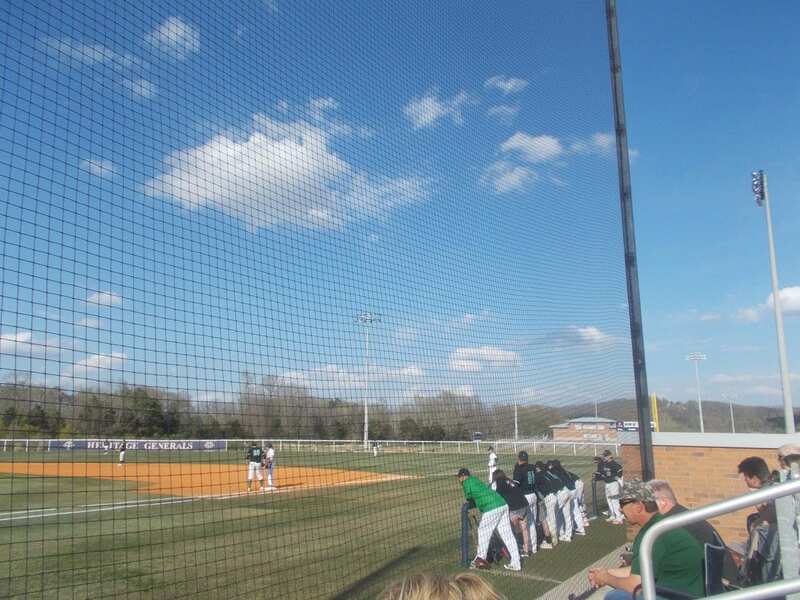 On Friday afternoon, the PHS Dragons varsity baseball team, hosted the Bruins of Northwest Whitfield in the 3rd & final game of their 3-game set. The night before, the Dragons took the lead in the top of the 7th, only for the Bruins to get the win in the bottom of the inning, setting up the rubber game in this crucial region series. Colby James, started for the Dragons, and his evening began rather smoothly as he only needed 5 pitches to send us to the bottom of the 1st. Both pitchers got through the first two innings giving up nothing to either team. Northwest Whitfield, broke through in the top of the 3rd, with 2 runs scoring on 3 hits, to take a 2-0 lead over Pickens. The Bruins, added to their lead in the top of the 6th, by plating 6 runs, to take a 8-0 lead over the Dragons. Pickens, got an RBI single from Chad Pacas, & a 2-RBI double from Caswell Smith, to cut into the Northwest Whitfield lead, 8-3, going to the 7th. In the top of the 7th, the Bruins scored two runs, to stretch their lead to 10-3. The Dragons, would score two runs themselves in the bottom of the frame, but would fall, 10-5. Even after dropping that tough series to Northwest Whitfield, the Dragons still find themselves in 2nd in 6-AAAA (9-7, 4-2). They will host the Lafayette Ramblers at PCMS, to begin a 3-game set starting on Tuesday. First pitch is set for 5:55.